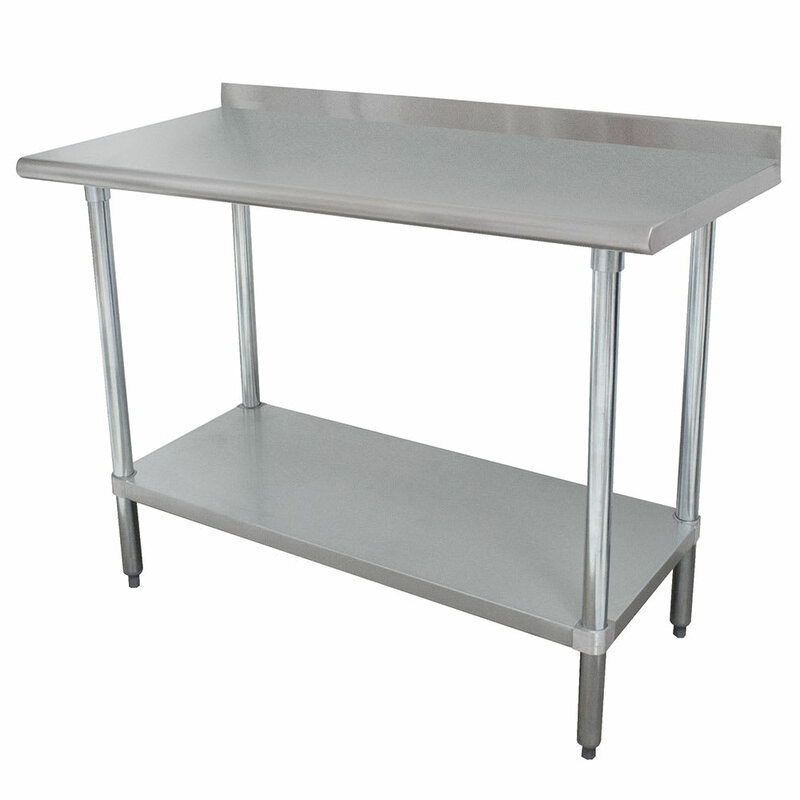 The Advance Tabco FMSLAG-308 work table has a 96-inch-long worktop that can function as additional counterspace. Since it is made with a high nickel content, the 304-series stainless steel worktop resists rust, so employees can prepare food on the surface. For a medium thickness when compared to 14-gauge and 18-gauge steels, the material is 16-gauge stainless steel. The Advance Tabco FMSLAG-308 work table is sound deadened and absorbs vibrations of employees or equipment working on it. A shield on the back helps contain messes to simplify cleanup. Employees can lean on the top's strong, curved edge, and hat channels reinforce the surface. Most supplies can fit comfortably on the unit's adjustable undershelf. Want to learn more about work tables? Take a look at our commercial work tables explainer article for a rundown of the basics.